A prototype for the Siemens Future Tables for ISO. 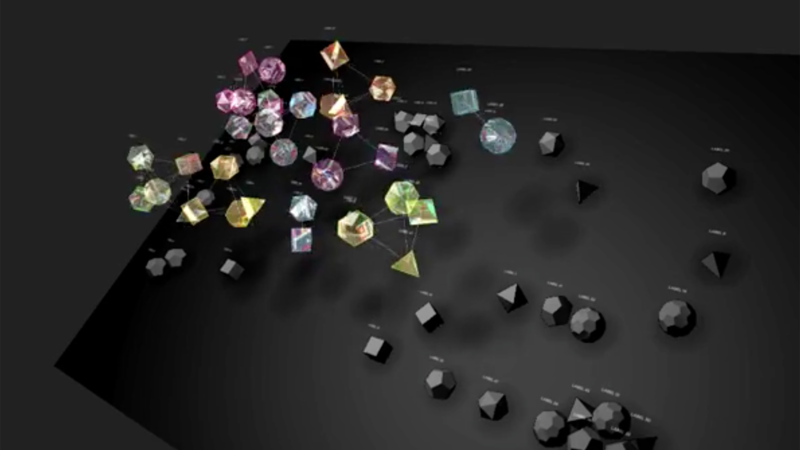 Users can freely move the crystals around, and create connections and relationships. Connections are made by using physics springs and damping.